Easily the most highly touted player to come out of college in recent memory, Andrew Luck checked all the boxes. At the combine he measured in at 6’4″ and a stocky 230 lbs, and every time he threw a football people swore you could hear the laces sing in pure awe and glory. Seriously, the guy was the living, breathing definition of a stereotypical superstar. Then there are the other superstars. Maybe they’re not prototypical size like Andrew Luck, but they’re phenomenal at other stuff. No one, and I’ll take this to the grave, could dance in the pocket like Johnny Manziel. It’s like he took a bath in butter before the game, and defenders were more like traffic cones than tacklers. But, with guys such as Manziel, there also comes the superstar baggage. There are crazy partiers, such as Manziel and Rob Gronkowski. There are those who can’t stay out of trouble, such as Jameis Winston and Josh Gordon. But honestly, most superstars are just jerks with inflated egos. However, all of that has almost come to be expected. The money and the fame changes people, and it’s hard to not get caught up in it all, especially as a young adult in his physical prime. That’s why, when you see Marcus Mariota refuse to attend the NFL Draft so he could spend time with loved ones, you might turn your head a little. Or when you hear Royce Freeman is an “even better person” than he is a football player, your ears perk up just a bit. It’s different here in Eugene, but it wasn’t always like this. As with so many other things that started well, the root of these “Unconventional Superstars” stems from the man, the myth, the legend: Chip Kelly. Chip refused to let his players be the boss of him. After an incredibly successful second season, QB Jeremiah Masoli looked poised to have a huge breakout year in 2010. Then, the QB got caught up in some off-field issues. And, just like that, a possible Heisman candidate and the leader of the prolific Oregon offense was gone. You can bet Kelly heard from fans for his move to dismiss Masoli. But, as I find myself saying seemingly more often than not, Kelly knows best. Darron Thomas, the backup, took over and performed admirably in Masoli’s absence. In his two years as starter, Thomas led the Ducks to a BCS title game and a Rose Bowl, winning the Rose Bowl in dramatic fashion. Kelly trusted his recruiting staff, knowing that there were more than capable QBs waiting in the wings after Masoli’s departure. He wasn’t caught up in the moment and worried about losing his star, but instead insisted on making a point. 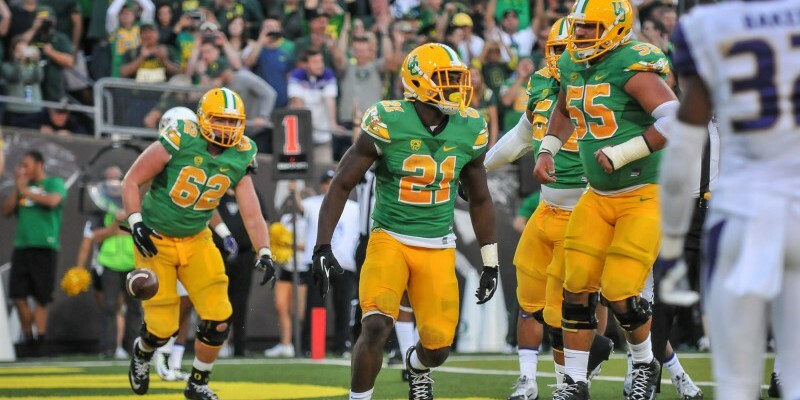 There was — and still is — no place for that kind of behavior on the Oregon football team. You hearing this, Jimbo? No matter how good the player is, there are things bigger than football. Hroniss Grasu weighed in on Helfrich. Oregon’s mentality is a country-fresh approach in a college football landscape littered with tainted superstars. Mark Helfrich carries on this philosophy, but luckily for him he hardly ever needs to put his foot down. The players have bought into it now. They get that Oregon is different, and they like that. Hroniss Grasu, the former starting center for the Ducks, captured the essence of what Helfrich brings to this team perfectly. In an article by Douglas Kroll, Grasu talked about the changes Helfrich brought after Kelly left for the NFL. I was an offensive lineman in high school. It’s a tough position, especially because the coaches are normally harder on you than other positions. You’re bigger, so they feel that you can take more physically. Sometimes that translates to emotional issues, as well. They can yell a little bit louder, or push you a little bit harder when you’re a lineman. Never did I once think that my coach truly loved me. He cared for sure, and he was an inspiration, but love was never a word that came to mind. 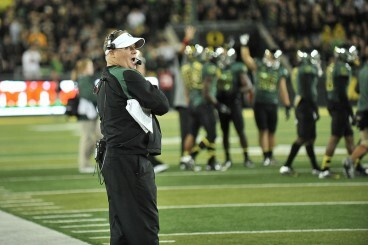 What Kelly started, and what Helfrich is building on is special. Practice isn’t a chore for these guys, it’s a gift. It’s more time to spend with your family, and it’s more time to have fun. The players want to play, the coaches want to coach. Everyone wants to be there, abundantly clear to anyone even remotely close to the program. You don’t get this at other programs. Other coaches aren’t like this. You don’t feel loved. Heck, you might not even feel safe. For comparison’s sake, Heath Evans, a former fullback for the Miami Dolphins, told a story of what it’s like to have Nick Saban as a head coach. Nick Saban and Mark Helfrich have their differences. 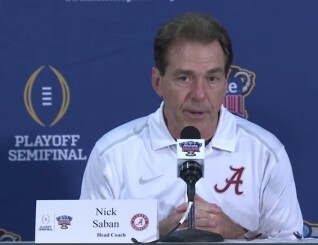 Saban saw a convulsing player who was suffering from the heat on the floor and said nothing, choosing instead to step over the player as if he didn’t exist and continue upstairs. If that doesn’t scream love, I don’t know what does. But seriously, that kind of stuff happens! It can be brutal, and there can be days when players don’t want to go to practice. But not here, not under Helfrich. Players want to be here, and they want to be a part of the Oregon family. Consequently, our superstars are presentable. Outside of Mariota, how many NFL players could you honestly say you’d want to date your daughter? I mean come on, the guy was flawless. That’s not how superstars are supposed to act. Heisman candidates don’t truck someone, then politely hand the ball to the referee. That’s not how it’s supposed to work, but hey, I’m not complaining. Chip Kelly instilled something special here, and it wasn’t just an offense that can score 300 points per game. 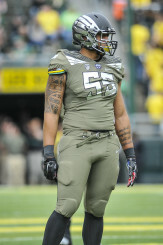 The mentality is that players are lucky to be at Oregon, not that Oregon is lucky to have its players. Not only do the Ducks have some of the best players in the country, but they have some of the most well rounded. As a fan it makes me proud to don my green and yellow, but I never forget how special it is. We’re different, and in Eugene that’s just how we like it.